It is odd, don’t you think, that man is so dissatisfied with God? Seriously, we seem to think that we can improve on what he has done. It is one thing when we do this by breeding a new kind of rose, or a new kind of dog. It is another thing altogether when we think we can improve on God’s religion. And we certainly think we can. If we weren’t so busy improving on God’s religion, would there be so many varieties of religions as there are in the world? At the time Jesus walked the streets of Jerusalem, there was a dominant religion there. It was a kind of Judaism. Maybe we could call it a proto-Judaism . 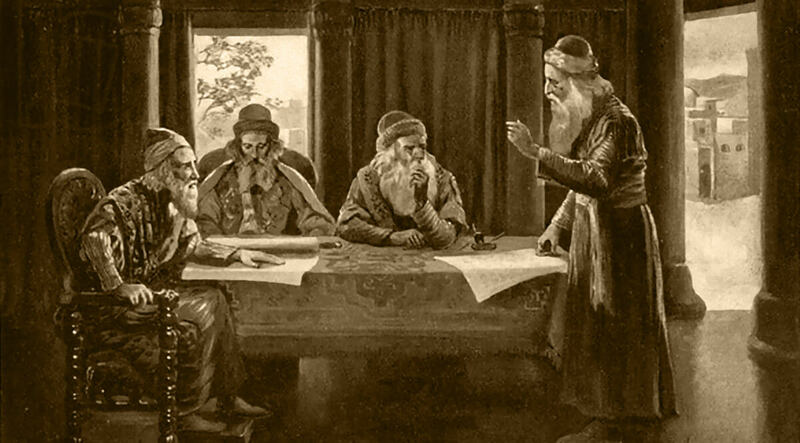 During and after their exile in Babylon, the Jewish sages had begun the development of the Mishnah—a formalization of their oral traditions, memorized and passed down from generation to generation. Their religion centered on the study of the law, but the problem was that as they developed their tradition, they improved on the law considerably. The result was Judaism. But Judaism in the first century was not homogeneous. It was quite sectarian, as human nature would lead us to expect. The Pharisees taught both the oral and written law, the Sadducees taught only the written law, and the Essenes thought both the other groups were corrupt. Then along comes Jesus, who found himself in regular conflict with both Pharisee and Sadducee, rejecting sectarian Judaism in all its forms. And here we come to one of the most fundamental mistakes people make about Jesus—in fact about the entire New Testament: Sectarian Judaism is not the religion of the Old Testament. Let me explain why, and what it means for our understanding of Christian origins.